Michigan Driver’s License Restoration – When Are You Ready to File? If you’ve lost your Michigan driver’s license due to multiple DUI convictions, it’s up to you to fight to get it restored. 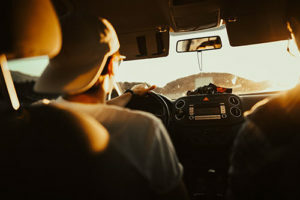 But before you begin that process, you need to meet several requirements that are designed to ensure your ability to operate a vehicle safely and within the law. Essentially, you must be able to prove that the alcohol or substance abuse problem that led to your previous convictions is now under control. That means you must meet some sobriety requirements and provide paperwork and evidence to support your claims. So how can you know exactly when it’s time to file for Michigan driver’s license restoration? Here’s a rundown of the requirements you should be able to meet. Once you’ve checked off all the boxes, it’s time to secure legal representation and file. You cannot simply file a license restoration claim directly after your license has been revoked. You have to wait at least one year, AND you must be sober during that time. In some cases, more than one year of sobriety is required. So how do you prove this? First, you must get a favorable evaluation from an accredited substance abuse counselor. If that counselor or the court have directed you so participate in AA, then you must follow that recommendation and show proof of attendance and participation. You must also follow any other recommendation made by your substance abuse counselor. And finally, you need to obtain between three and six letters from individuals who can attest to your sobriety. When you have completed those requirements, you can move onto the next step: paperwork. Once you have a year of sobriety under your belt and can prove that you’ve followed the direction of an accredited substance abuse counselor, you can move onto the beginning of the paperwork process, which is another important step to take before officially filing for reinstatement. Michigan courts and the Secretary of State have a few requirements that you must complete before officially filing for driver’s license reinstatement. First, you must secure a negative drug screen. Then, you should download or obtain the request for hearing reinstatement form from the Secretary of State and fill it out, making sure all of the information is accurate and complete. If you don’t have it already, you can find the relevant forms on the Secretary of State’s website or visit your local office to get copies. Then you can work with a driver’s license reinstatement attorney to ensure that the form includes all relevant information to support your case. Once all of those items are covered, along with the sobriety items listed above, you have a good base for a reinstatement case and are ready to file.